Kelly’s Westport Inn is a famous watering hole in the Westport entertainment district of Kansas City, Missouri. Constructed around 1850, it is listed on the U.S. Register of Historic Places and is easily the most famous bar in KC. This room features a section of the original bar! Kelly’s is just 2 blocks from our front door! 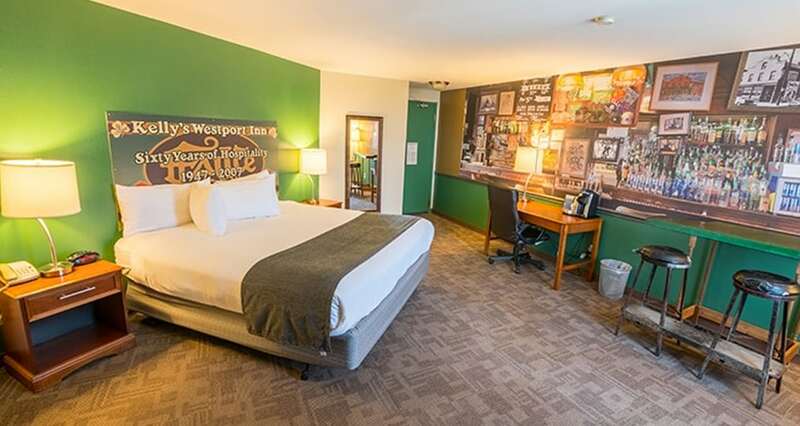 CALL: 816.931.1000 To book this room.